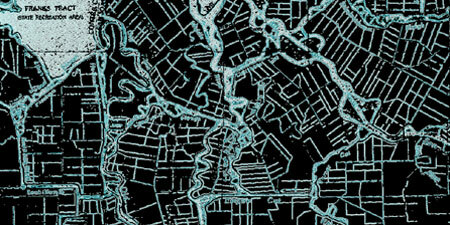 Staten Island Tip is the site of future speculative work by the Delta National Park design team. 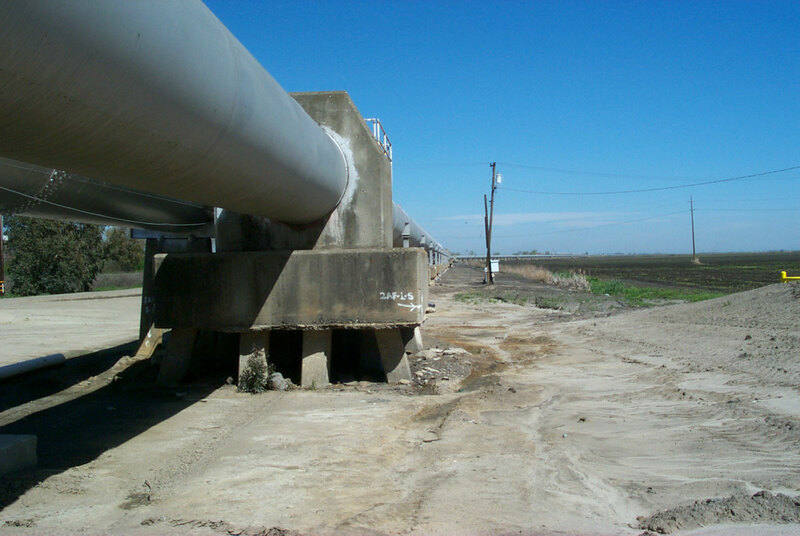 The primary means of exporting water from the Delta are two large aqueducts. 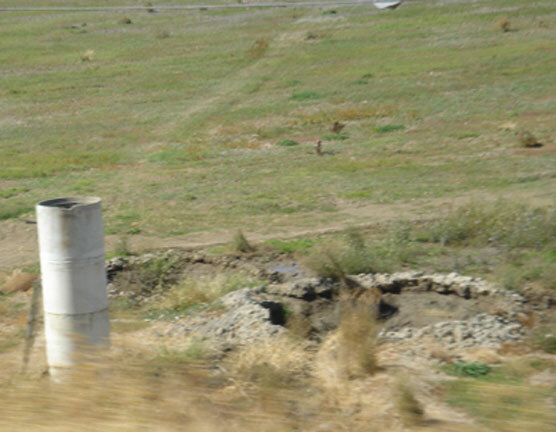 This image describes the physical consequences of several types of reclamation. 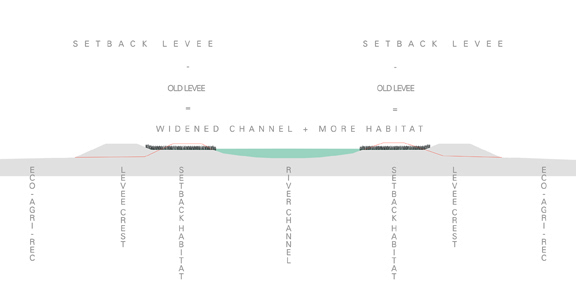 Diagram describing the altered movement of fish in the Delta. View of Jones Tract flood, taken several months after flood occurred. They were still pumping. 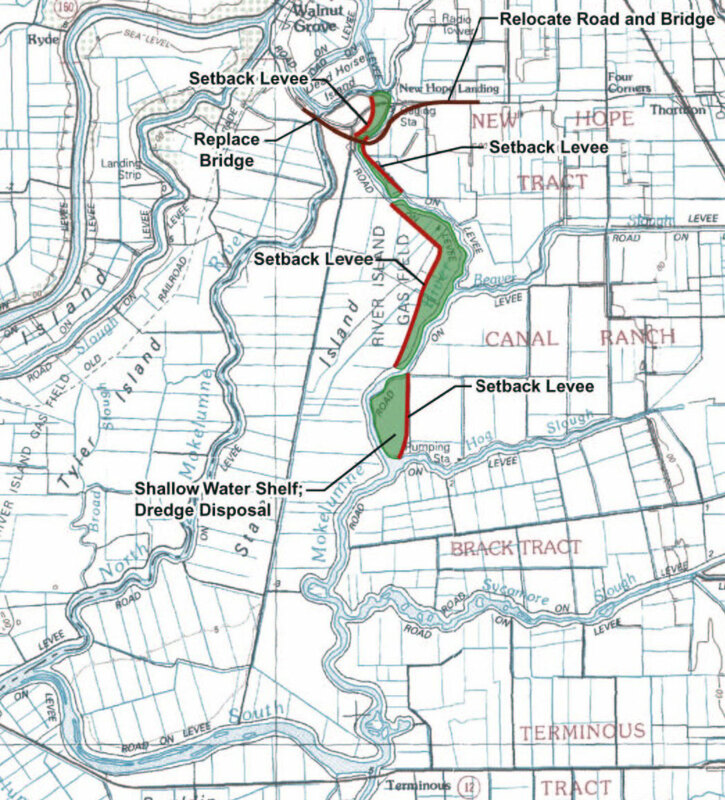 Diagram shows the basic features of a setback levee and compares it to a conventional levee. 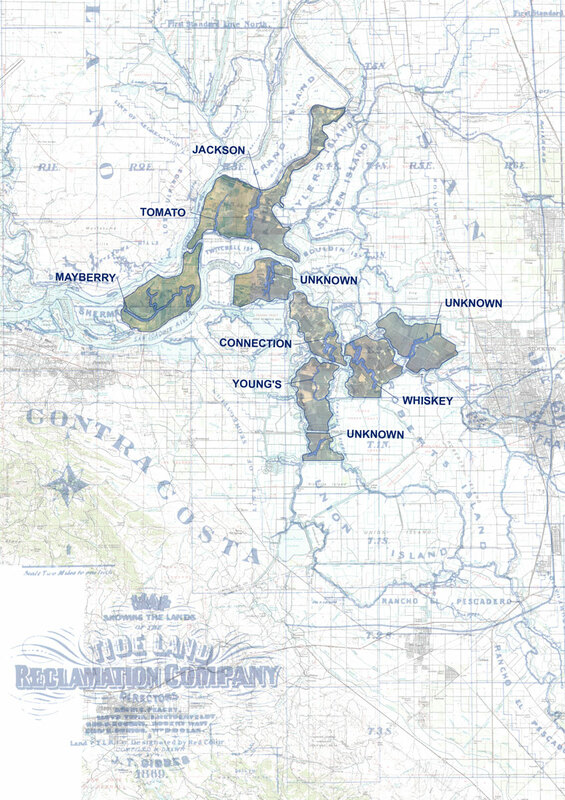 The Eastern Alignment Isolated Facility is the latest preferred alternative of the planners of the ongoing crisis in California’s contentious debate over Delta water export. 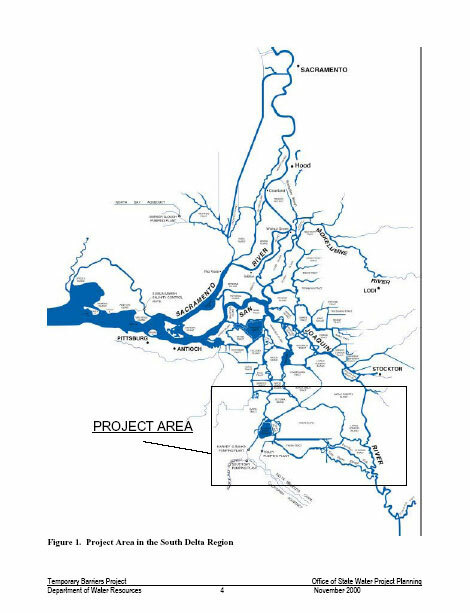 The through-Delta improvements would include: 1/ 75 miles of retrofitted setback levees; 2/ 60 miles dredged rivers and sloughs; 3/ barriers at Old River, Connection Slough and Woodward Canal; 4/ a siphon at old river to direct water to clifton court forebay. 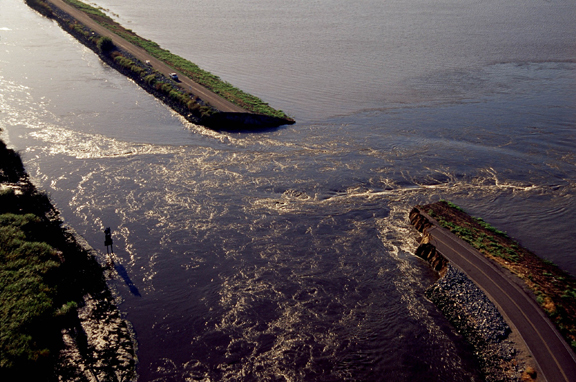 2004 Jones Tract levee breach that led to the flooding of thousands of acres of farmland. October 2003 letter from Governor Schwarzenegger to Sen. Feinstein encouraging the reauthorization of Cal-Fed, the bureacracy charged with overseeing the future of the Delta. 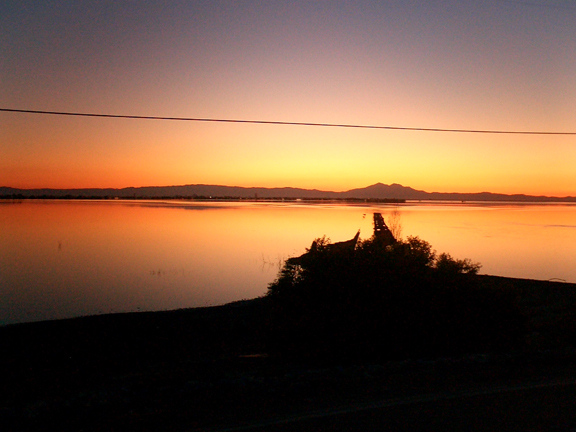 Land at the western edge of the Delta is subject to higher water salinity levels because of the proximity to San Francisco Bay. 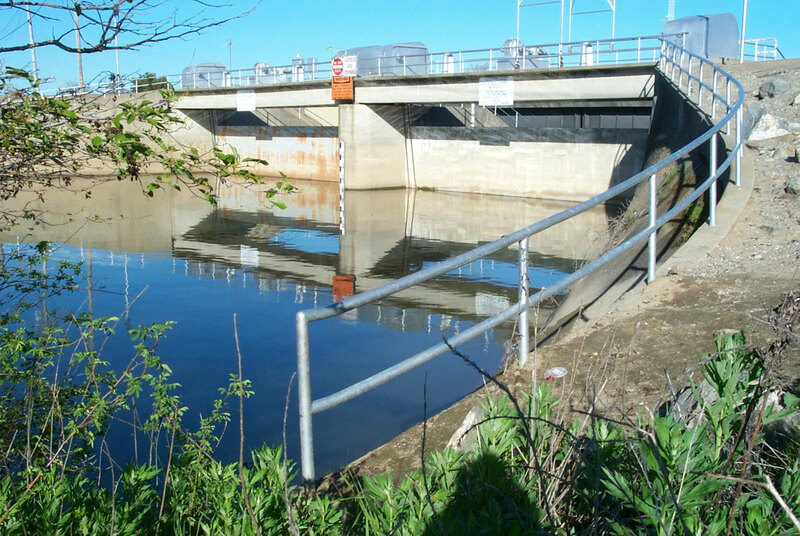 Controlling salinity is a major task for state and federal agencies. 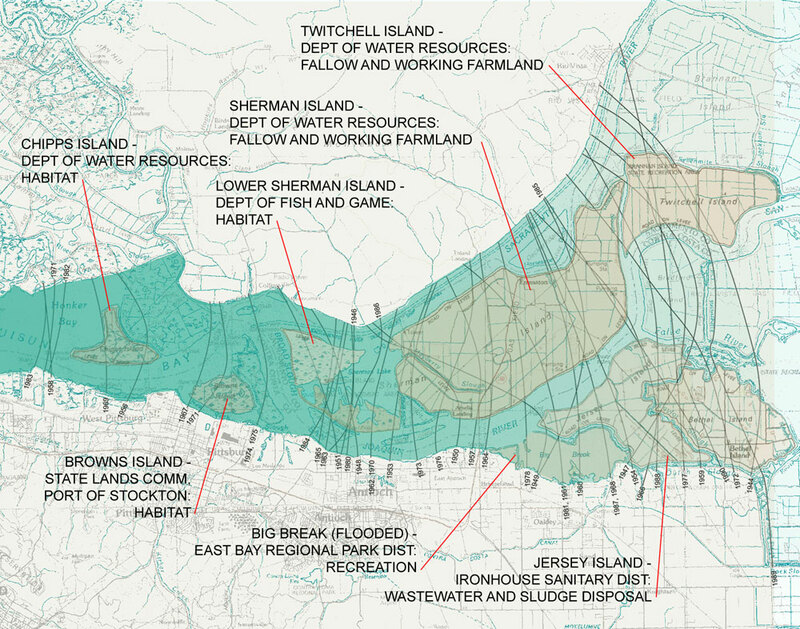 River Islands is a development proposed for Stewart Tract in the southeast Delta. 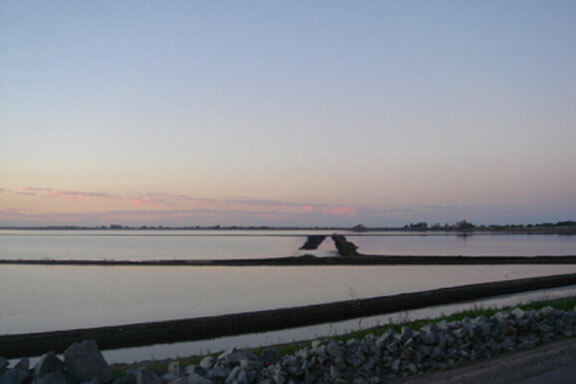 It would build a new community protected by a “super levee.” This new levee is seen by adjacent landowners as a breach in the long-standing agreement to build levees to the same height, thereby ensuring that all would share equally in the risk of flooding. If realized, River Islands would set a new precedent for in-Delta suburban development. 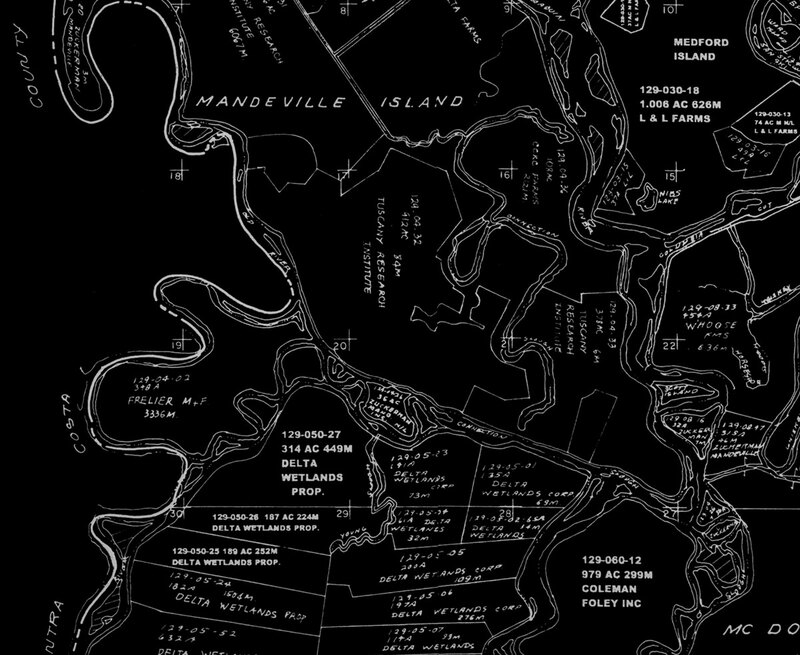 Mandeville, Bacon, Venice, Staten, and Bouldin Islands are all owned by a single family or corporation. Large Owner Axis diagram showing past or present island owners and their source of wealth. 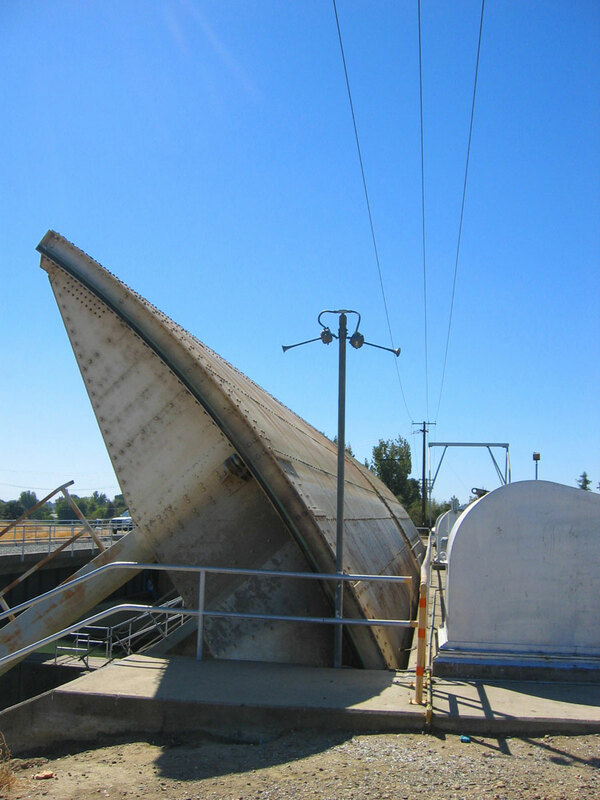 The Large Owner Axis is a chain of islands that connect the two most important elements of the Delta’s water redistribution infrastructure. 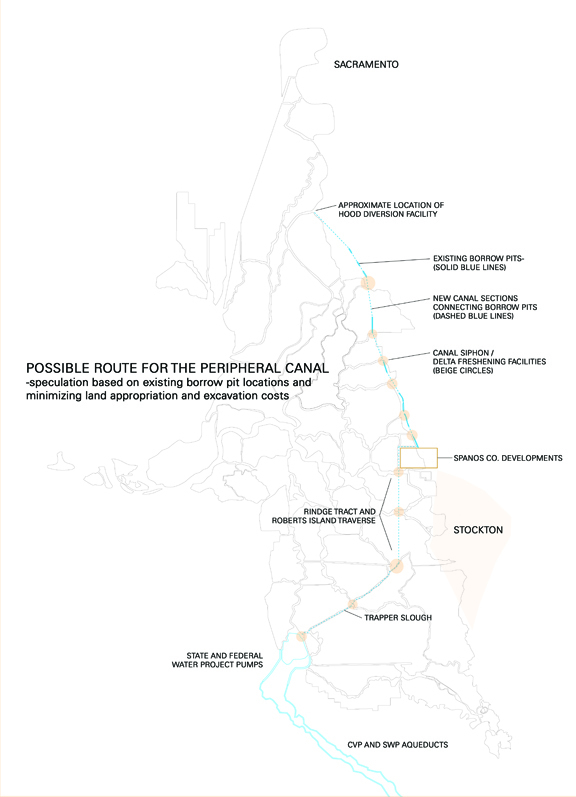 The LOA is also the key axis of planned “through-Delta” water redistribution infrastructure proposals, whether or not these improvements are tied to the new Peripheral Canal proposal. View of Jones Tract flood, looking toward the flooded Bacon Island Road, which provides the only road access to Bacon Island. 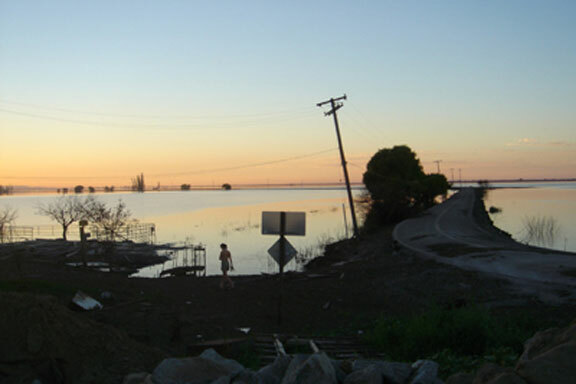 Photograph showing the extent of the 2004 Jones Tract flood, which covered 10,000 acres. 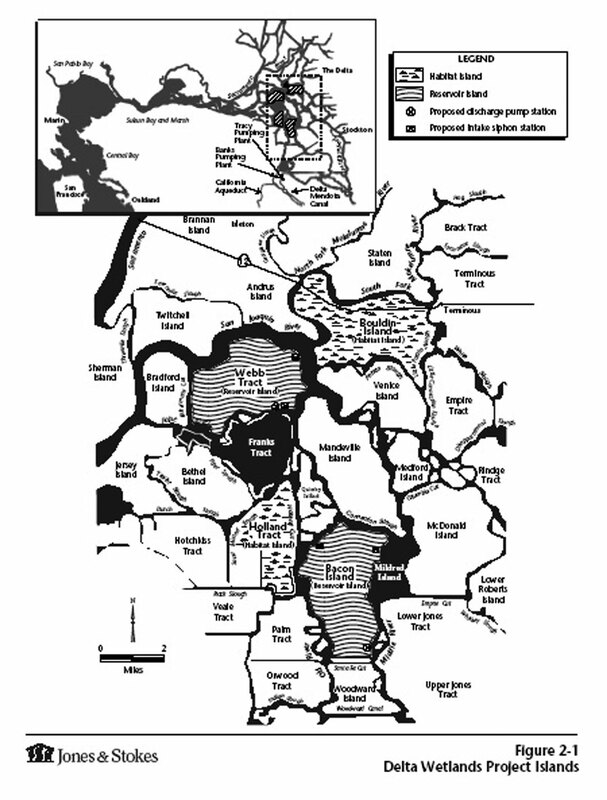 Diagram showing water systems surrounding and within the delta islands. 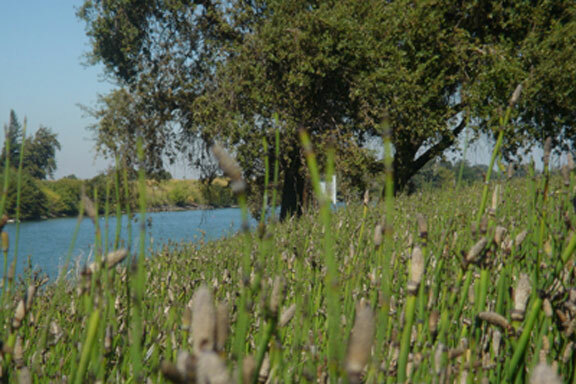 Farmers must pump constantly to maintain optimal water levels in their fields. The electricity required to power the pumps is expensive, and is making the Delta increasingly unable to compete in the global market for agricultural products. 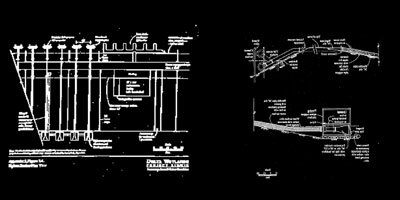 Engineering diagrams of the massive pumping systems required by the Delta Wetlands Project. 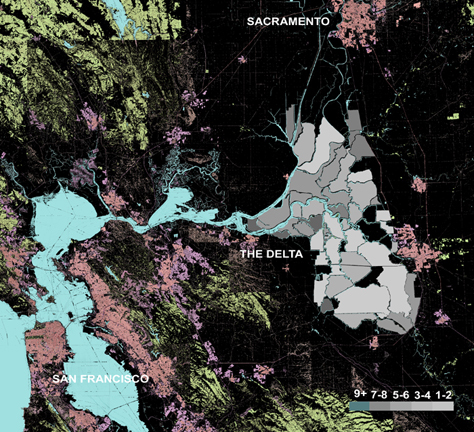 The entire central valley drains into the Delta. 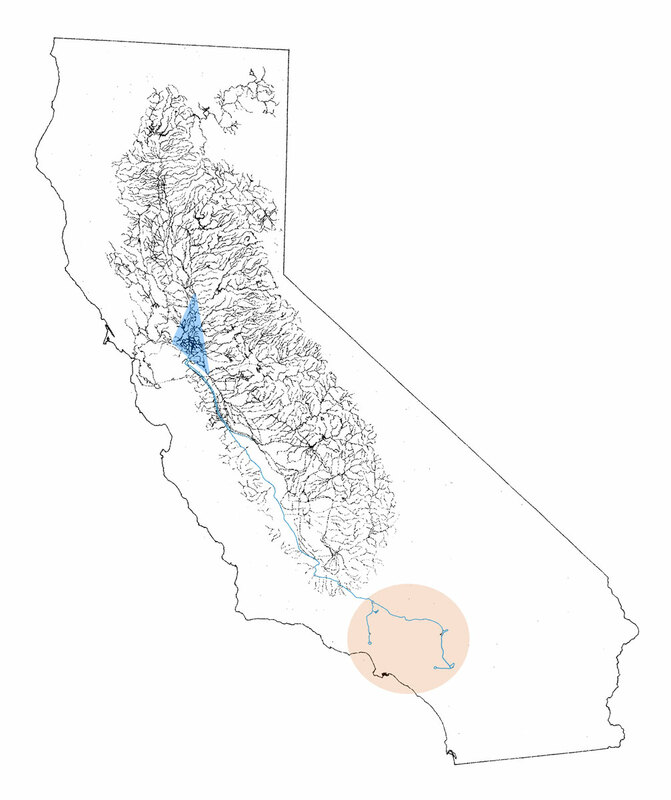 Diagram showing water systems in a part of the Delta. 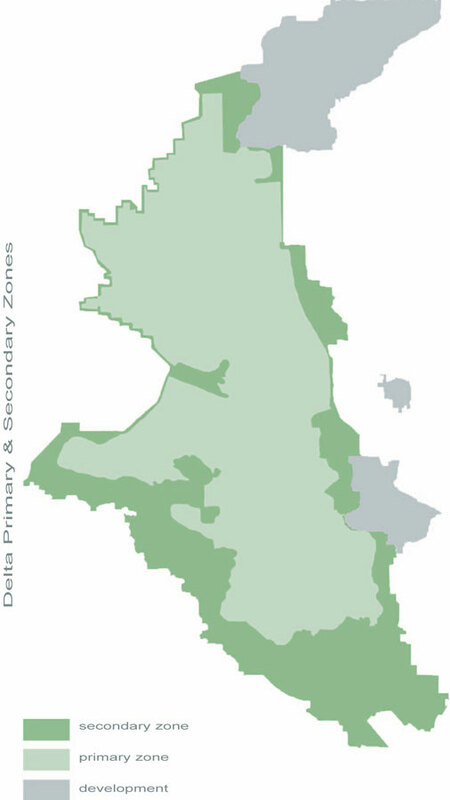 The primary and secondary zones regulate land use in the Delta. The primary zone strictly limits uses to those associated with agriculture, and the secondary zone allows uses more loosely associated with agriculture. 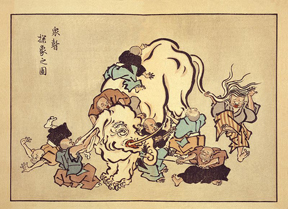 The secondary zone is the site of many creative interpretations of agricultural uses. Darker colors indicate lower elevation to -15’ below sea level. 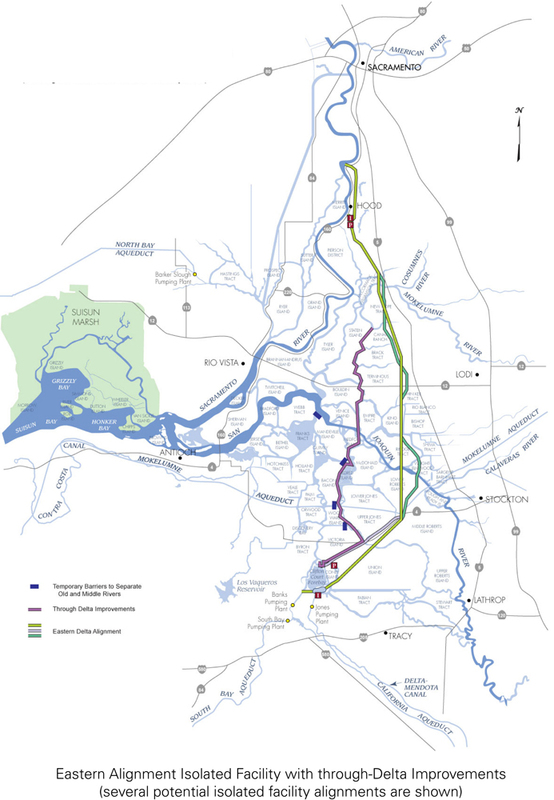 Diagram describing the history of delta island floods. 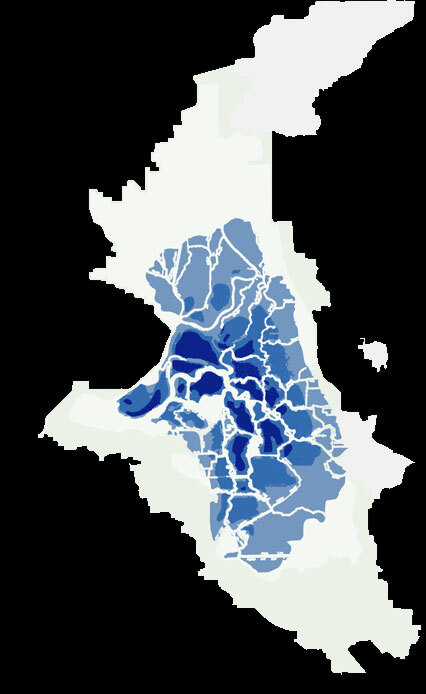 Darker gray represents more flood events, with a maximum number of nine. 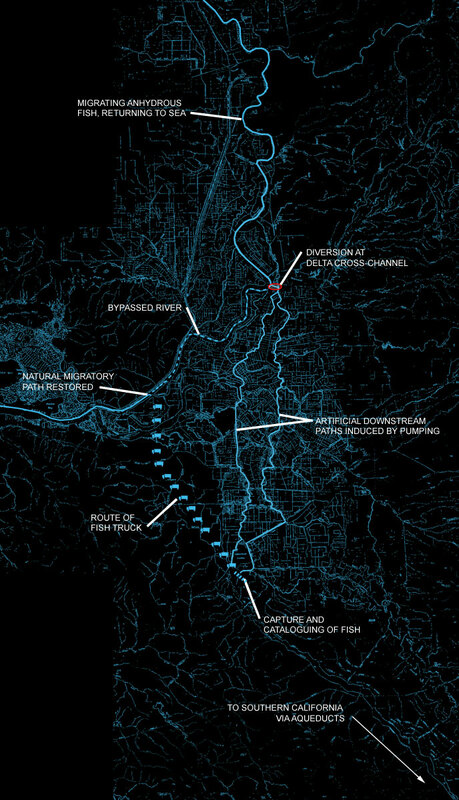 During the historical period of reclamation, land development companies often filled in waterways to create larger tracts of land. 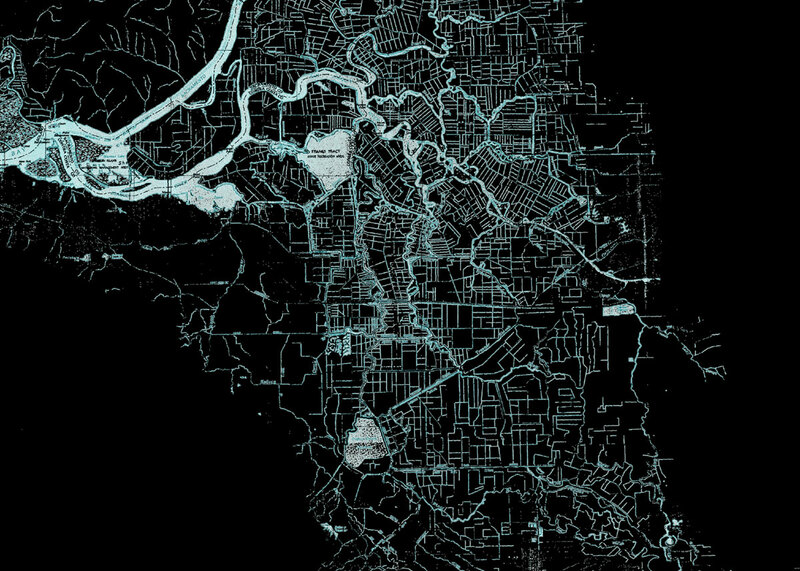 Many of these can clearly be seen in aerial photographs. 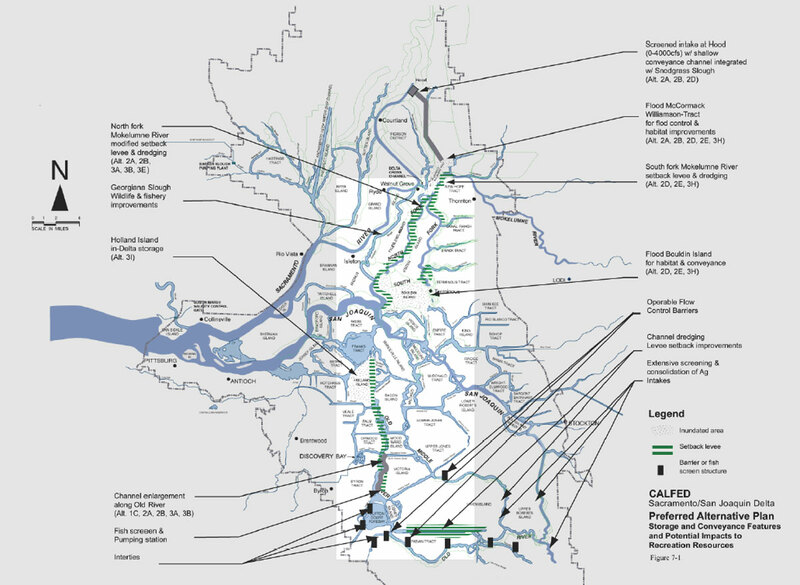 One of CALFED’s scenarios calls for levee improvements through the center of the Delta linking the Delta Cross Channel to the Pumps. 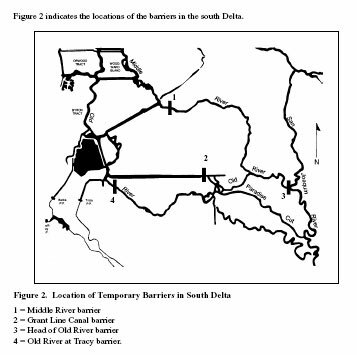 This territory coincides with the Large Owner Axis and the Delta Wetlands Project. Edge of fields in the Borrow Pit Exchange Authority. 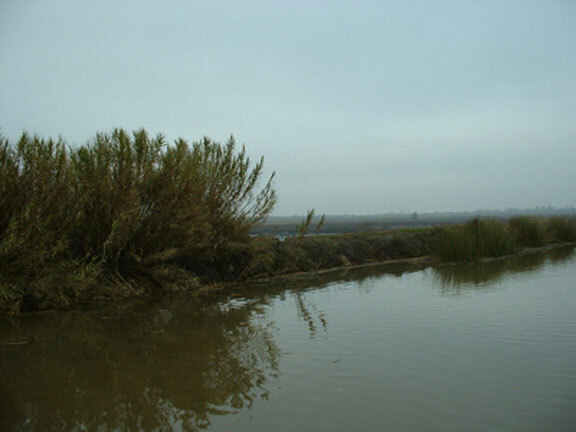 Right to left is field edge, toe ditch, (riparian) levee bank and levee crest, the constituent elements of the Delta’s levee infrastructure.